Pretty isn't it? 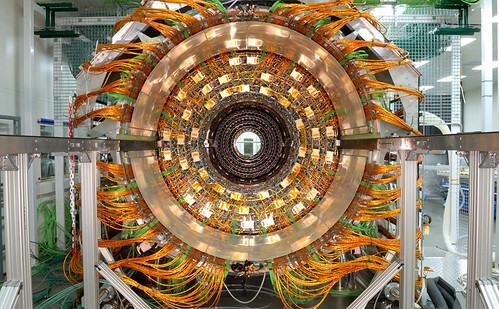 This is the Compact Muon Solenoid (or big electro-magnet) experiment tracker outer barrel from the Large Hadron Collider. They are getting close to firing this up, over on the border between Switzerland and France. CERN starts the first particle beam tests this month, with the first real particle collisions happening towards the end of the year. I keep having an REM song playing in the back of my head when I look at these pictures.